Hi there! 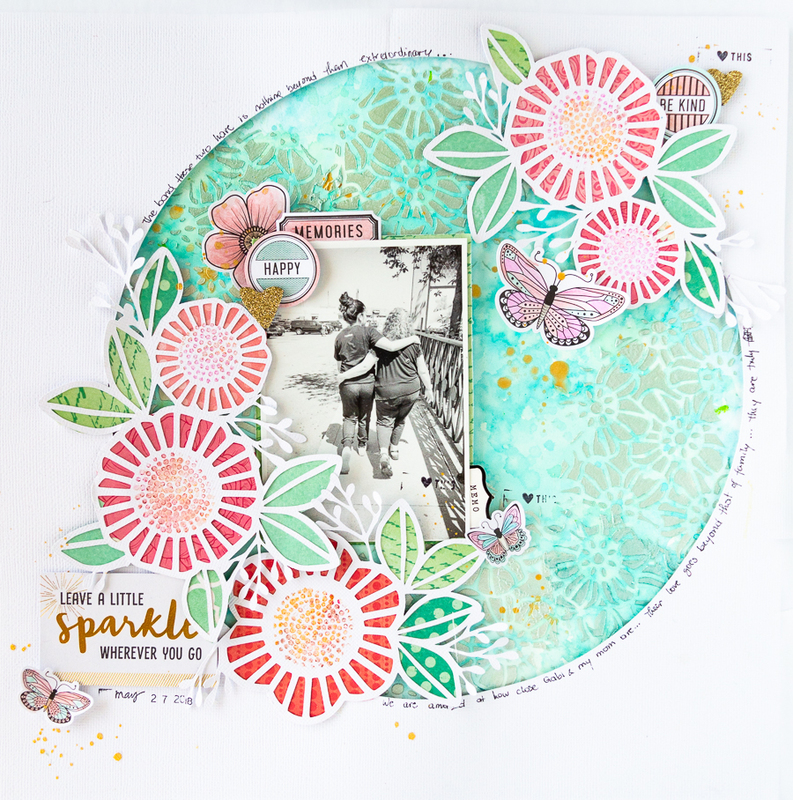 Nathalie DeSousa with you today on the Creative Scrapbooker Magzine blog to bring you a bit of inspiration using Vicki Boutin for American Crafts paper collection and mixed media products. We have been enjoying beautiful and rather warm days here in Toronto, and one of our favorite things to do on days like these is to go out for walks around our neighborhood. So when I found the card with the title sentiment, I quickly pulled a picture of my mom and daughter enjoying their company while walking around. I took advantage of Vicki’s watercolor set and her foundation paper to create a soft watercolor background for the layout. Once the watercolor was dried completely, a bit of the leftover paint (on the palette) was mixed with iridescent glaze and run through one of the newer stencils from the collection to create the textured flowers you see in the layout. 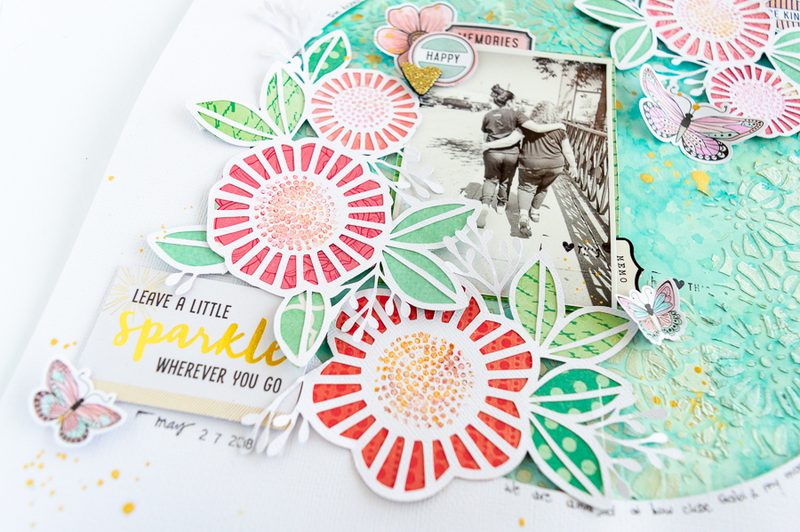 While the background dried, a simple circle and a few floral die cuts were created using the Silhouette Cameo. All the flowers were backed with papers from Vicki’s All the Good Things collection, and the center of the flowers was created art crayons and the latest stamp/die set from Vicki’s release. A bit of foam adhesive tape was then used to prop the circle on the background thus creating a frame where to place the die cuts and picture. Since the background and florals are covering a large part of the layout, the embellishments were kept simple. A few watercolor stickers and butterflies are plenty to complete this page. I hope this page inspires you to document those little memories! Plus a bit of a crafty/inky mess is always good for the soul! Please do not hesitate to contact me if you have questions on how this came together!